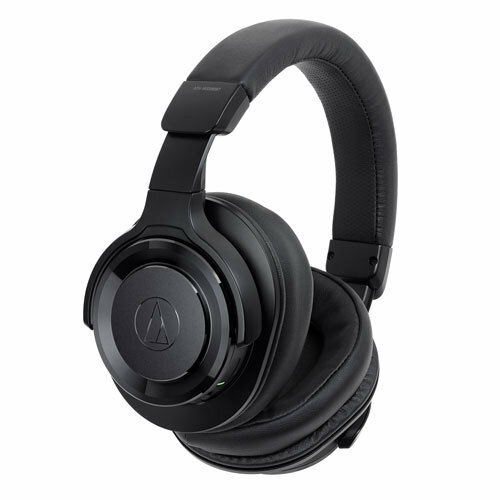 Wireless Headphones ATH-WS990BT A great combination of a sharp deep bass and high resolution. Deeper and clearer extra bass wirelessly. Equipped with 53mm "Deep Motion" Drivers. Uses two layered earpads consisting of two cushioned layers with different levels of hardness. Equipped with noise-canceling functions. Expresses bass with excellent resolution in natural noise-canceling space created using optimal positional relationships of sound pickup microphones and holes. Equipped with "Hear-through Function" allowing confirmation of ambient sound without removing headphones from ears. Seamless control of music, video, and phone calls right by your ear. Headphones fold flat for easy portability.